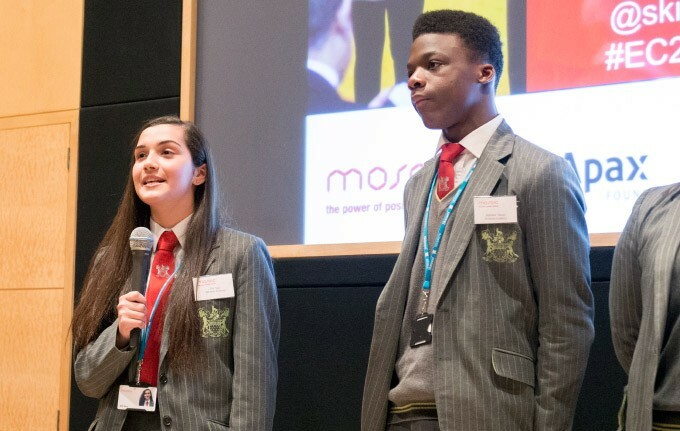 My involvement with Mosaic, an initiative of The Prince’s Trust, has been such an incredible personal journey and one that has now resulted in seeing our business concept become a reality and really impact on people’s lives. I recall being selected to participate in the Enterprise Challenge competition in 2015 and despite being a little indifferent at the start of the enterprise programme, I very quickly realised how many doors it was opening for me – whether it be through contacts to network with people, or actually teaching me different skills. This enterprise experience through Mosaic has taught me to take every opportunity I am given and has also taught me to push beyond my own boundaries by asking my mentor for support and guidance with work experience. This has led me to gaining an unforgettable 3 day work experience at the Old Bailey. Had it not been for my participation in Mosaic, I would not have been able to find such a great placement – it was such an amazing experience! We were able to see two different judges summing up cases, a prosecutor closing speech, a defence closing speech and even the cross examination of a psychiatrist. I learned so much in just 3 days on a serious criminal case. I had the opportunity to observe and learn about the structure of cases, how people are addressed in court and also about different aspects of criminal courts and how different cases operate in practice. This was very helpful for me as law is now definitely a career I want to pursue in the future. We were given a short tour of the Old Bailey, where we saw the beautiful Grand Hall filled with stunning pieces of art, but sadly we weren’t allowed to take pictures. We were also shown a remaining piece of glass from the shattered windows during the IRA bombings in 1973. I also loved seeing different sides to judges, and how sweet they were to us. We were endlessly questioning judges and despite them having so much work to do, they managed to make time to teach and explain what we didn’t quite understand. I am very grateful that I was given this opportunity; I learned so much and also had fun. We also met a young lady who had just completed her masters and was preparing for the bar examination. She taught us so much as well. We exchanged numbers and perhaps when she becomes a barrister I could even shadow her! I would encourage students to get involved with the Enterprise Challenge programme and to see where their destiny’s will take them – I am grateful for the opportunities that I have already had and will no doubt continue to have.